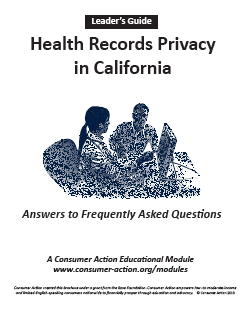 The Health Records Privacy in California backgrounder, written in Q&A format, answers many questions about electronic health records and the health information privacy rights of California residents, from how patients can access their own health records to what steps they can take to better protect their personal information. 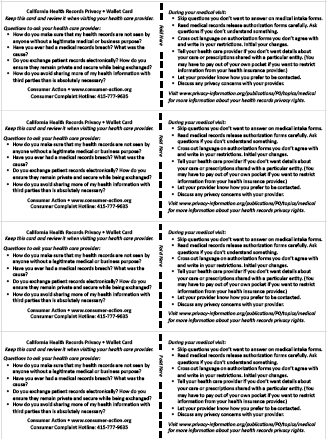 Carry the health records privacy wallet card with you to remind you of questions to ask your health care providers and steps you can take during your visit to help protect your privacy. One printed page yields four wallet cards—enough for you and three family members or friends. 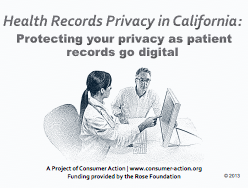 This 29-page packet, available only as a PDF, guides community educators through a three-hour presentation on electronic health records and patient privacy rights. 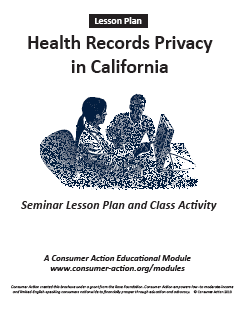 The lesson plan includes a set of cases studies and a note-taking guide to be completed during class. 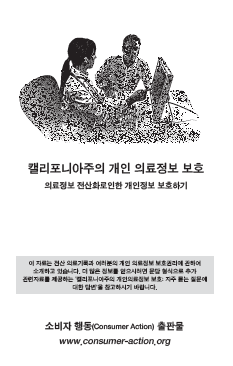 It is designed to be used in conjunction with the companion PowerPoint presentation. 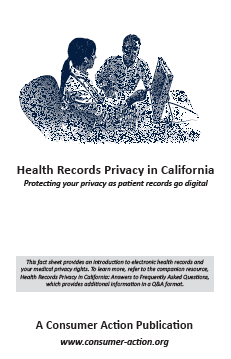 This downloadable 19-slide presentation is designed to be used in conjunction with the Health Records Privacy lesson plan. 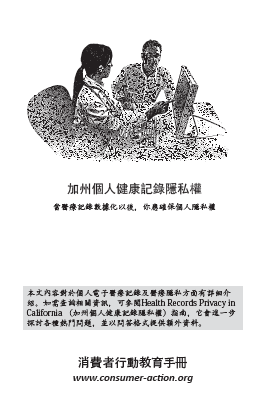 The slides provide a visual component to the training on electronic health records and patient privacy rights. Esta hoja informativa proporciona una introducción a los registros electrónicos de salud y sus derechos de privacidad médica. Para más información, consulte el recurso adicional en inglés, Health Records Privacy in California: Answers to Frequently Asked Questions, que proporciona información adicional en un formato de preguntas y respuestas.